Nutritional supplements are without a doubt one of the most easily accessible and also one of the most confusing aspects of self care. 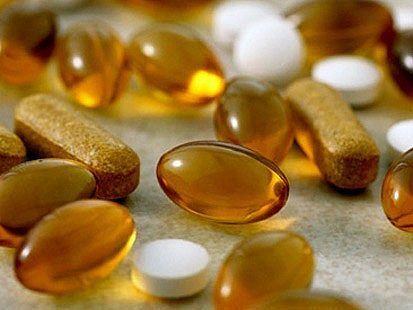 Regulation of the vitamin/supplement industry only began in 2011. The bottom line, in my opinion, is we need them. Each person is vastly different, and needs to find resources which can help them navigate the supplement and vitamin “world”. There are a lot of people out there who want your money!!! Why do we need nutritional supplements or food supplements? As I’ve already discussed, our food supply is not as nutritionally rich as in the past. (see post) When it comes to meat and poultry, feeds have changed from the natural foods they ate in the wild to highly processed, chemical filled “feed” that is designed to maximize growth and minimize cost. This allows these “Factory Farms” to turn a huge profit. The result is meat and poultry that is dangerously high in chemicals and lacking in the amount of nutritional elements that have kept us healthy for so long in centuries past. Watch Food Inc. and you’ll never look at your food the same way again. I also talked earlier about soil depletion as it applies to the nutritional value of fruits and vegetables. We will need supplements until such a time that our soil quality is re-vitalized and we are not using inorganic fertilizer to force plants to grow in depleted soil. Everyone can start with a good multi-vitamin, EVEN if your diet is rich in fruits and vegetables, or you’re already eating organic. You STILL need a vitamin! 1. AGE: Over time, health professionals have become aware that nutritional needs shift somewhat as people age. This means that a multivitamin that is right for a 30 year old may not be ideal for someone who is 55. For this reason, look for one that states adult, post-menopausal, senior, etc. 2. GENDER: Along with age, consider gender when evaluating different adult multivitamin products. Men and women do have nutritional needs that are similar in many ways, but very different in others. Many supplement companies now tailor their formulas not only to age, but gender. 3. INGREDIENTS: The actual contents of the adult multivitamin are very important. Read the label to determine which nutrients are found in it, but also look at the dosage of each vitamin and mineral. This is important, especially if you are taking certain medications that may negatively interact with large doses of certain nutrients. “Nutrients provide the oil that greases the wheels of our metabolism. And large-scale nutritional deficiencies in our population, including omega-3 fats, vitamin D, folate, zinc, magnesium, and iron, have been well documented in extensive government-sponsored research. Why are we so nutrient depleted? First, we evolved from eating wild foods containing dramatically higher levels of all vitamins, minerals, and essential fats. Second, because of depleted soils and industrial farming and hybridization techniques, the animals and vegetables we eat have fewer nutrients. Third, processed factory-made foods have no nutrients. And fourth, the total burden of environmental toxins, lack of sunlight, and chronic stress leads to higher nutrient needs. Although I can’t tell you what vitamin/mineral supplement is best for you, I can tell you that Dr. Hyman has recommended vitamins and supplements from the Metagenics Company, (among others), and the one I take, Phyto Multi, is available on Amazon’s website. They also make “wellness packets” for men and women, which include fish oil, calcium, zinc (for men), etc. **One great resource is consumerlab.com (yearly subscription is $33), and you can check everything from multivitamins to fish oil to CoQ10. If you really want to investigate all your vitamins and supplements, think about getting a subscription — they test most common brands and warn you of problems.